What inventions and innovations were the most important in American Industrialization? Why were they so important? Set up your Lesson Chronicles for today. Remember, you are on your own now! You've got this! 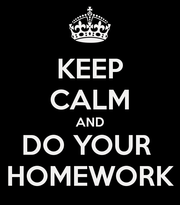 DIRECTIONS: Remember, accomplishing your lesson mission is your purpose for reading. To accomplish your mission, you must be able to answer the essential question(s). We will continue to work on answering essential questions by identifying information from key text structures using our new note-taking method called an outline. Write the title of the lesson. Write the lesson mission question. Turn the page. Remember you need to save the rest of the page to answer the Lesson Mission Question at the end of the Lesson. Write down the header of the section. Write down the main idea of the section. Write down the words and definitions of the section. Write down a text reference for the section. Tell me what you thought about while you read. Repeat steps 1 - 5 for every section. Remember to answer the Lesson Mission Question on the first page (Lesson Mission Page). Make sure your notes pages are in order. As you read, if a certain part of the reading makes you think of a text to text, text to self, or text to world connection, write it either in the side margin next to the notes in which you made the connection or at the bottom of your outline. Remember, text connections can also be questions you have about the reading. Technology advancement from 800 B.C. to 2010. The American Industrial Revolution started in the 1700s and is still occurring today. The American Industrial Revolution is usually divided into three major time periods based on the inventions and innovations that developed together. These three time periods are called the First Industrial Revolution, the Second Industrial Revolution, and the Third Industrial Revolution. In this lesson, you will learn about some of the most important inventions and innovations of the first two phases in the Industrial Revolution and the inventors and innovators that played a role in growing American industry! The US Industrial Revolution inventions changed the lives of Americans forever, bringing about big changes. The First US Industrial Revolution in America involved massive changes in agriculture and manufacturing processes during the 18th and 19th centuries. The new technology and inventions, and the mechanization of industry, transformed the United States from an agricultural to an industrial society. The inventions of the First Industrial Revolution centered on textiles, agriculture, iron, and steam engine technology. In the years between 1860 and 1890 over 400,000 patents were issued. The US Industrial Revolution inventions started with Eli Whitney's cotton gin. This important invention led to the mass production of cotton and mechanized agriculture. The cotton gin was the name given to the machine, invented by Eli Whitney in 1793 that separated the fibers of cotton from the seeds. Cotton plants are a natural resource but cotton fibers are a raw material in making fabric. The next important inventions to the US Industrial Revolution were the new methods of cotton spinning and the new cotton spinning machinery introduced into America by Samuel Slater. These inventions led to what we now know as the sewing machine. In 1846 an inventor named Elias Howe built and patented the world's first practical and successful sewing machine. It was called the lockstitch sewing machine. Elias' Howe's lockstitch sewing machine revolutionized the textile industry. First of all, it created the ready-made clothing industry. Howe's machine allowed ordinary people to afford fashionable clothing. It decreased the amount of time it took to make clothes which lowered the cost of making clothes. Ready-made clothes cost less, lasted longer, and could more easily be replaced than hand made clothes. Ready-made clothes saved women time and because they were affordable, allowed women to have more clothes. 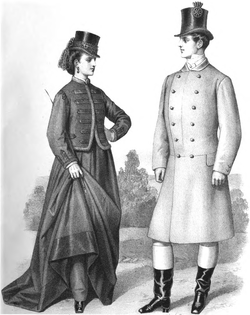 Ready-made clothing led to the modeling, fashion, and shoe industries. Most importantly, ready-made clothing opened up many job opportunities and helped to strengthen the economy. Many men chose to start practicing industrial farming when industrialization made it impossible to survive off of small farms and bartering. Industrial farming is using machines to farm one major crop to sell in bulk to buyers who use the crop to make products that people can use. A big breakthrough in industrial farming was mechanized farming. Mechanized farming is using machines to farm, harvest, and store crops. Modern day farming reapers are a result of the First Industrial Revolution and mechanization of farming. 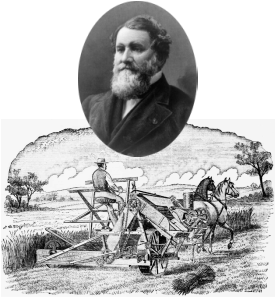 Cyrus McCormick invented the mechanical reaper. In the early 1830s, a man named Cyrus McCormick invented a mechanical reaper. Before the McCormick reaper, a reaper was a person who used hand tools to cut and gather crops at harvest time. McCormick's mechanical reaper was a farming machine that was pulled by a horse to cut and gather crops at harvest time. The McCormick Reaper saved farmers from the hard manual labor of using the scythes and sickles and allowed them to plant and harvest more of their crop. When farmers were able to save their energy and time, they were able to produce more of their crop and make more money selling their crop. The mechanical reaper started a chain of events that led to industrial farming. Industrial farming began when farmers began planting cash crops instead of only growing enough to support their own families or small communities. A cash crop is a crop that is grown by a farmer in large amounts in order to sell for money. Cash crops allowed farmers to make money farming, but harvest time could be a problem when it came to storing and transporting such a large crop. Remember, "Necessity is the mother of invention." Well, these problems too were solved by invention! Wheat became a major cash crop in the Great Plains. Cotton was the major cash crop of the South. In 1842 Joseph Dart and Robert Dunbar invented the steam powered grain elevator. The steam powered grain elevator also called the Prairie Skyscraper, was large building-like structure that stored cash crops like grain, corn, and cotton. These buildings contained a machine called an elevator that was powered by a steam engine. The elevator transported the cash crop from the storage area of the building to the boat or train loading area of the building in order to transport it to other places for sale. As you learned in the previous lessons, iron was needed to make railroad tracks, locomotives, and the steam engine machinery used to run trains, pump mines, and run factory machinery. You also learned how important the steam engine was in providing power to run the trains and factory machinery. Iron and steam-power combined to create and run many things during industrialization, but the most important things involved transportation and transportation systems. Steam engine trains ran on iron tracks. Iron was also used in constructing infrastructure like bridges before the Bessemer Process and steel. Transportation systems include any vehicle or machine that can move people and goods from one place to another and any infrastructure needed for those vehicles or machines to travel. During the First American Industrial Revolution, several vehicles for transporting people and goods developed as well as different types of infrastructure. These transportation systems played a major role in industrialization because they helped to get goods to places farther away and helped businesses to sell their goods across the country and even to other nations in the world. As simple as it may sound, roads were a major accomplishment of the First Industrial Revolution. Remember, the country was very new and much of the nation had not developed into states or been mapped yet. The first federal highway was built between 1811 and 1837. It was called the Cumberland Road. The Cumberland Road stretched over 600 miles and was called the, "Gateway to the West." It started in Cumberland, Maryland and ended in Vandalia, Illinois. It was constructed using a new construction method created by engineer John Loudon MacAdam. Macadam roads are made by pressing down layers of small stones into a cement like mixture made by combining stone dust and water. In 1791, a man named John Fitch used James Watt's steam engine to create the first steamboat. A steamboat is a boat that uses a steam engine to propel it forward. After his death, Robert Fulton took the idea and innovated Fitch's design making it safer and more reliable. Not long after he innovated the design, Fulton opened a commercial steamboat company. He became known as the "Father of Steam Navigation." Fulton's steamboats made it much easier to travel along American rivers and helped increase the amount of business between places that were far away from each other. Fulton's steamboats could travel about 5 miles per hour, which was very fast during this time. Steamboats were very popular in the Southern United States especially on the Mississippi, Alabama, and Chattahoochee Rivers. There were even some steamboats on Birmingham's own, Cahaba River. The aqueduct over the Mohawk River on the Erie canal. An aqueduct is a structure that looks like a bridge and that is used to carry water over a valley. Another major feat of the First Industrial Revolution was the construction of the Erie Canal. The Erie Canal was twice the length of any canal in Europe. A canal is a long narrow area created by humans, that fills with water so that boats can pass through it. The Erie Canal was the nation's first Important transportation system. The Erie Canal was 363 miles long and provided the first waterway connecting the Great Lakes with the Atlantic Ocean. The red thing that looks like a rake on the front of the train is a cow catcher. In 1830, the railroad industry exploded when the steam locomotive was built by a man named Peter Cooper. He named his steam locomotive the Tom Thumb and it travelled along the Baltimore and Ohio Railroads. One year later, a locomotive was designed to pull a train of cars. It was called the Best Friend of Charleston. Later that same year, John Bull was introduced. John Bull was one of the first locomotives to be fitted for a new invention called a cow catcher. A cow catcher is a device that is attached to the front of a train in order to clear obstacles off the track. Drawing depicting the completion of the Transcontinental Railroad. Even with all of these developments in transportation, no other transportation system invention was more important than the Transcontinental Railroad. Remember, the Transcontinental Railroad was the first railroad to connect the east and west coasts of the United States. The Union Pacific Railroad Company began constructing the railroad on the eastern side beginning in Omaha, Nebraska. The Central Pacific Railroad began on the western side in Sacramento, California. The two railroads met at Promontory Summit, Utah. The railroad was over 3,500 miles long and nearly 2,000 of miles of track were added after construction began in 1863. Construction of the railroad was completed on March 10, 1869. Alfred Nobel was not the first to invent blasting explosives but he worked hard to innovate them using nitroglycerine. He wanted to use the nitroglycerine as an explosive for blasting rocks in building infrastructure and in mining. He made one of his most important discoveries when he found that nitroglycerine could be mixed into a paste. This paste could be kneaded and shaped into rods. The rods could be put into a drilled hole. He called his paste dynamite and went on to develop a blasting cap which could be used to detonate dynamite under controlled conditions. The invention of dynamite may have been one of the most important inventions in the time of the First Industrial Revolution. At this time, miners and quarry workers had little to no access to power machines and other powerful technological devices. Dynamite allowed workers a simple way to destroy mines and rock to use for materials or clear for building factories and infrastructure. It was also used by the military to develop weapons. Northern Pacific Railway telegraph office at Fargo North Dakota, 1907. The First Industrial Revolution also changed the way Americans were able to communicate over long distances. In 1837, Samuel Morse created and patented the first electrical telegraph machine and the Morse code alphabet. The telegraph is an electromagnet connected to a battery by a switch. A telegraph machine is an electrical machine that transmits signals by a wire to a machine in a different place. The signals are sent by a code called Morse Code. Morse Code was heard as a series of long and short sounds. The sounds represented the alphabet and numbers and were transferred to paper as a series of long dashes and small dots. A telegraph interpreter would translate the Morse Code into real words for the person receiving the message. The Civil War was one of the last major events of the First Industrial Revolution. The desire of both sides to win in a war, leads to the invention and innovation of war weapons. This is why our weapons become more effective and destructive with each war we fight. During the Civil War, it was no different. One invention that resulted from the American Civil War was a warship called the ironclad. The ironclad was a warship that was powered by a steam engine and covered by strong, large, and thick iron or steel plates. It was designed to stand up against cannon-fire. Ironclad warships led new inventions and innovations in naval warfare. These inventions and innovations included warships, torpedoes, guns, and military tactics and strategy. canal: a long narrow area created by humans, that fills with water so that boats can pass through it. interchangeable parts: parts of a machine or product capable of being used in place of each other. George Eastman: inventor of paper-strip photographic film who established the Eastman Kodak Company in 1892 and produced film and cameras for taking pictures. First of all, ironclads inspired inventors and innovators to create new types of warships for special purposes. Underwater boats were a major development in naval warfare. One underwater warship was a submarine. Submarines are boats that can be submerged and navigated under water. Torpedo boats were another warship created during this time. Torpedo boats can partly submerged underwater and are used to shoot torpedoes at the enemy. A torpedo is a bomb that is shaped like a tube and is fired underwater. Torpedoes were not the only underwater weapons created. Explosive devices and mines developed as well. Explosive devices are any substance, bomb, weapon, grenade, or mine that is used to cause an explosion. Mines were the most used explosive device. A mine is a bomb that is placed in the ground or in water and that explodes when it is touched. New weapons developed during the Civil War as well. The Minie Ball, repeating rifles, hand grenades, machine guns, rockets and rocket launchers were all invented during this time. Not all wartime inventions and innovations were designed for fighting. Limelights were an invention that became useful in industry. Limelights were chemical lamps used to provide light for the user, but temporarily blind the enemy. Limelights became a very important tool for coal miners during industrialization. The Second Industrial Revolution began at the end of the First Industrial Revolution in the late 1800s and ended around the 1940s. The Second Industrial Revolution is also called the Technological Revolution because the inventions and innovations from this time focused on developing technology that could more effectively and efficiently manufacture and transport goods. The most important inventions and innovations of the Second Industrial Revolution involved innovations in production, electrical products, and transportation advancements. 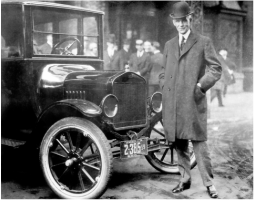 Henry Ford innovated the way things were produced when he combined several ideas into one method of production and produced the first manufactured cars. The method he created was called mass production. Mass production is producing a large number of similar goods using assembly lines, interchangeable parts, and division of labor. Mass production began with interchangeable parts. If you will recall, interchangeable parts are parts of a machine or product capable of being used in place of each other. So, Ford broke down the automobile into parts. Each part was manufactured exactly the same way. Next, Ford used division of labor. Division of labor is when workers are all divided into groups who put together one part of a product over and over. Division of labor is used as part of an assembly line. An assembly line is a technique used in mass production where groups of workers perform one small task in assembling a product then pass the product to the next group to perform a different task until the product is completely assembled. Ford made all the parts needed to construct the Model - T into interchangeable parts. He divided up all the parts and put the machines and workers needed to assemble these parts in a line. The first group would put together the first part of the car and pass it down a conveyer belt to the next group. This group would add their parts to the car and pass it to the next group. This would continue until the whole car was completed. The groups of workers became very fast at their jobs because they did that one job over and over all day long. During the Second Industrial Revolution, Henry Bessemer invented a process to create steel from iron which produced steel cheaply and efficiently. The Bessemer Process was an extremely important invention because it helped made stronger rails for railroads and helped to make stronger metal machines and structures like skyscrapers. The impact of the Bessemer process led to the inventions and innovations of the Second Industrial Revolution in the late 1800's. As cities grew larger with immigrants and migrants pouring in to find industry jobs, cities began to run out of room. Buildings had to be made differently in order to make room and cities would had to come up with ways of solving problems that the growing population had caused. When cities began to run out of room, buildings had to be built upwards to save space. This was the beginning of skyscrapers. 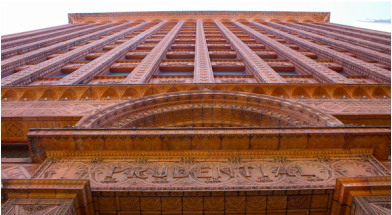 The Home Insurance Building was the First Skyscraper built in 1884 and was designed by architect William Le Baron Jenney who utilized a steel frame for its construction. In 1889, George Fuller built the second skyscraper, the Tacoma Building in New York, during 1889 using Bessemer steel beams. Though these skyscrapers were the first of their kind, skyscrapers were not used very often. Eventually Louis Sullivan promoted the use of skyscrapers as a way to save space in cities and emphasized the need to make them beautiful. When he did this, he invented a new form of American Architecture. The skyscraper was originally very unpopular because people did not like climbing flights and flights of stairs. In 1853, American inventor Elisha Otis solved this problem. He established a company for manufacturing elevators and patented a steam elevator in 1861. It was his elevator brakes however, that made people come to like skyscrapers. The brakes made it possible to stop on each floor. After this, skyscrapers began to go up in big cities all over the U.S. The escalator was invented in 1891 by Jesse W. Reno to help solve the stair problem in smaller buildings. In 1879, Thomas Alva Edison created the first practical light bulb that could be manufactured for everyday use but it was Edison's electrical lighting system that truly changed American cities. He modeled it after the gas lighting systems used in large cities. Edison created central stations, underground conductors, meters, and lamp fixtures. He also design an electrical generator, the network it powered, electric motors, screw sockets to hold his lamps in the fixtures, and fuses to prevent electrical overloads and fires. The electrical lighting system inspired other Edison and other inventors to create new things powered by electricity. The world’s first four-wheeled motor vehicle was invented in 1886, but it was not a practical invention that most people could use until Henry Ford invented the Model T in October of 1908. The Model T revolutionized transportation, allowing many more Americans to buy cars. Andrew Hallidie created the first street car system and introduced one of the first forms of public transportation to Americans. It was not long before elevated railways and subways developed adding even more modes of public transportation in large cities. Wilbur Wright in flight from Governor's Island, September 29, 1909. Transportation advancements were not limited to the ground. In 1900, the Zeppelin Airship was invented by Count Ferdinand von Zeppelin. A zeppelin airship was a large aircraft without wings that floats in the air because it is filled with gas. It that has a rigid frame inside its body to help it keep its shape. In December 1903, Orville and Wilbur Wright invented the first gas motored plane and changed transportation throughout the world, forever. New inventions were made to improve the work place too. In 1867 Christopher Scholes invented the first practical and modern typewriter. The typewriter helped clerical work get done faster and it was the first invention in a series of inventions and innovations that lead to the creation of the modern computer. The first phone call in history! Another important invention that helped businesses conduct business more effectively and efficiently was invented in 1876 by Alexander Graham Bell. Bell patented the telephone and revolutionized communication all over the world. The First Telephone Call was made on March 10, 1876. The first words ever spoken on the telephone were spoken by Alexander Graham Bell to his assistant, Thomas Watson. He said, "Mr. Watson--come here--I want to see you." In 1884 George Eastman patented paper-strip photographic film. He established the Eastman Kodak Company in 1892 and produced film and cameras for taking pictures. In 1877 Thomas Alva Edison invented the cylinder phonograph which could record and produce sound. The portable motion-picture camera called the cinematograph came out in 1895. It led to the creation of motion pictures and the movie industry. of entertainment in homes all over America until the invention of the television in 1927. Amusement parks were another form of entertainment that developed during this time. The Ferris Wheel was considered an engineering marvel. It was designed by George Ferris for the 1893 Chicago World's Fair. In 1898 Edwin Prescott created the first roller coaster. The Third Industrial Revolution began at the end of the Second Industrial Revolution in the early 1950s and is still going on today. The Third Industrial Revolution was born when we developed the digital, computer, internet, and robotics technologies. You will learn more about the Third Industrial Revolution after the World War II Unit. 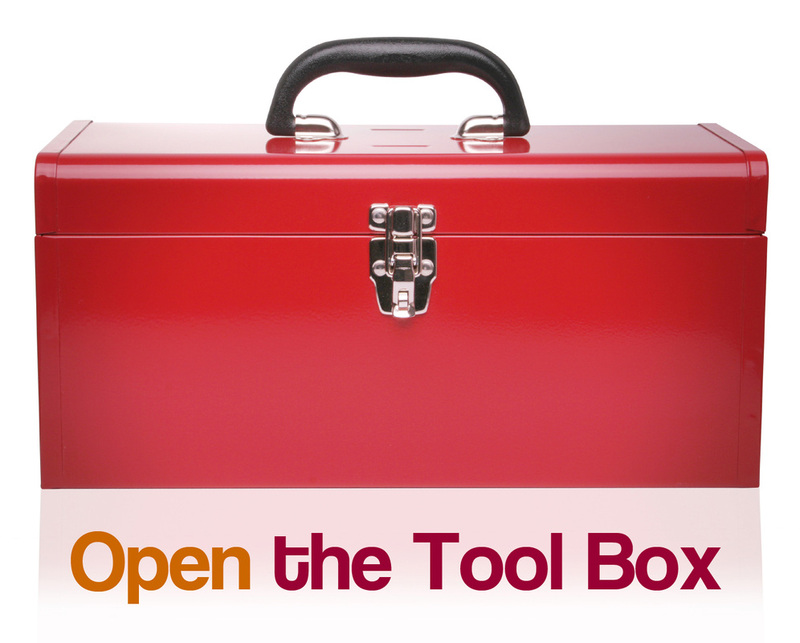 In this activity, your group will talk about the innovations and inventions above. What do you think were the most important inventions and why? As a group rank the top 5 inventions in the reading with 1 being the most important and 5 being the least important. Be ready to explain why you ranked them the way you did. DIRECTIONS: Work by yourself to prove you have completed today's mission successfully by answering the essential question for today. Answer the question on the first page of your Lesson Chronicles under your Lesson Mission. Congratulations! You have Completed the Unit 3 Lesson 5 Module!